Save your money for more important things, like, you know, your tuition. 1. A microwave cleaner that looks an awful lot like how your own mother will look if you tell her you don't clean the microwave in your dorm room. Get it from Amazon for $4.50. 2. Laundry balls to help scrub your clothes to the cleanest they can be. Yes, they will definitely get the scent of last night's beer spills out. Get a six-pack from Amazon for $7.99. 3. Foldable clothes hangers that are easy to transport to and from school, and store when not in use, which is super important when you don't have a ton of space. Get a six-pack from Amazon for $6.99. 4. A folder organizer that'll come in handy for storing papers, exams, and other random college-related documents that you know are important to keep, but don't want to carry around with you at all times. Get it from Amazon for $7.99 (available in eight colors). 5. An adulting note pad, because college is just one step away from the real world, and the perfect time to work on those "adulting" skills. Get it from Amazon for $4.87. 6. A fan small enough to keep on your nightstand or desk, but powerful enough to keep you cool in AC-less dorms. Get it from Bed Bath & Beyond for $9.99. 7. A foam roller to easily store in a small space and use when you need a little stress relief. Get it from Amazon for $9.89 (available in six colors, and four sizes). 8. Animal bag clips so you can properly seal those late-night munchies in the cutest way possible. Get a six-pack from Amazon for $3.99. 9. Bed sheet grippers because TBH dorm beds can be a bit of a pain and these little guys ensure your sheets slipping off won't become a problem. Get a four-pack from Amazon for $5.99. 10. A dry-erase weekly planner so when you wake up in the morning, all your due dates, club meetings, and social activities are right there for you. 11. A microwave soup mug for those cold nights when walking to the dining hall for dinner just isn't gonna happen. Get it from Amazon for $4.99+ (sizes S-L). 12. A mesh shower caddy because most dorm buildings have communal bathrooms, and how else are you going to transport all your things? Get it from Amazon for $8.89 (available in three colors). 13. A toothbrush holder to maximize space on suite-style bathroom counters, or for easy grab-and-go on the way to a communal restroom. Get it from Amazon for $5+ (available in five styles). 14. A microwave egg cooker. Let's be real, you're a college student. You don't want to wake up early to trek to the dining hall for food, but breakfast is the most important meal of the day, and you shouldn't miss out on it. Get it from Bed Bath & Beyond for $6.99. 15. 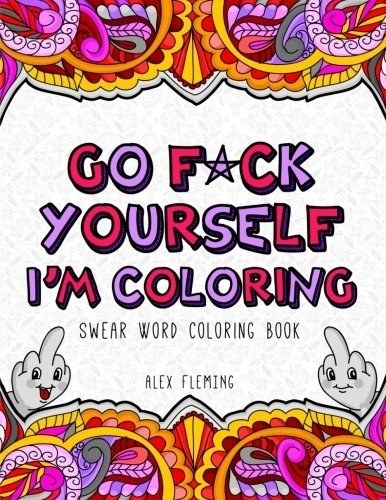 A coloring book for the student whose language is colorful, and would enjoy unwinding with coloring. Get it from Amazon for $5.99. 16. A clip-on lamp that'll be useful on nights when you just wanna brush up on last-minute study material or decompress with your favorite book before bed. 17. A fitted mattress protector—a must for all college dorm beds. Not to freak you out or anything, but lots of people spent years sleeping in that bed before you. Do yourself a favor and protect yourself from the germs. Get it from Bed Bath & Beyond for $4.99+ (available in five sizes). 18. Headphones—a staple for any college student — listen to your favorite music on the walk to class, while studying in the library, and please, be courteous to your roommates, and use them while you're watching Netflix. Get them from Amazon for $9.17. 19. A coffee press because nothing says "I'm a college student" like chugging a lifetime supply of caffeine in a single study sesh. 20. And a set of bed lifts for creating some extra, much-needed space for under-bed storage. Get four from Bed Bath & Beyond for $8.99.